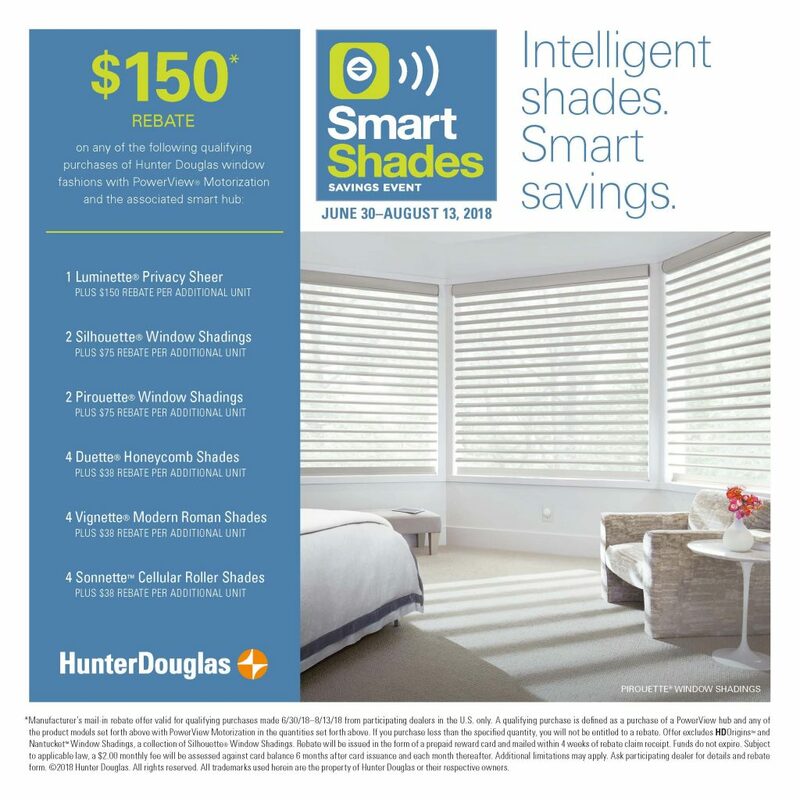 Intelligent shades, smart savings. 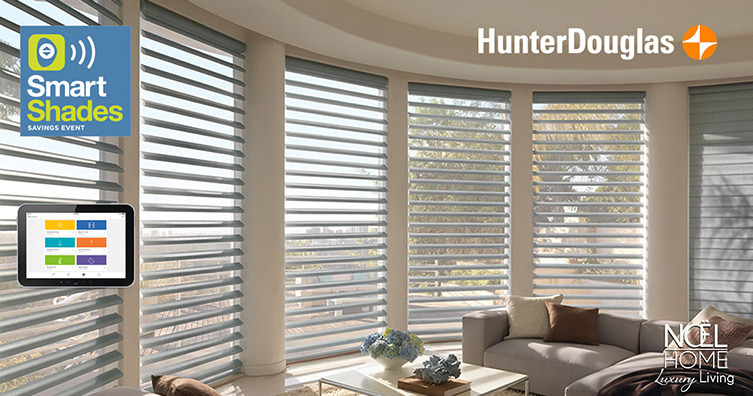 PowerView® Motorized Shades from Hunter Douglas move automatically to a schedule you set. ** Act now for rebate savings on a wide range of popular styles.